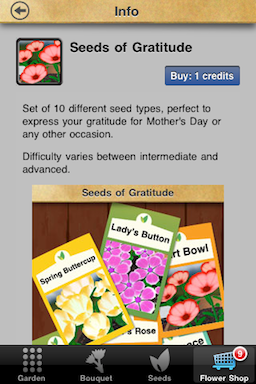 Once you accumulate enough Green Thumb Points and earn a credit, you can redeem it in the Flower Shop. Go to any item you want in the Flower Shop, and tap the “Buy: 1 credit” button. If you’d rather not use up the credit right away, you’ll have the option to purchase it normally from the Flower Shop.